Today I'm re-posting the Easter devotional I wrote last year. I love the movie Tuck Everlasting, and I appreciate how it shows the difference in a life that lasts eternally and true eternal life. This post was also inspired by one of my college professors, who taught my Johannine Theology class and who had some thought-provoking and wonderfully encouraging things to say on this subject. Anyway, I hope you don't mind the repeat post, and I hope it encourages you! Have a blessed Easter! 3rd Blogoversary Party ~ Winners! Today is officially my third blogoversary, and what fun these three years have been! Thank you to all of my wonderful, sweet, encouraging, inspiring readers for making blogging such a joy for me, and for making this party a blast! And thank you to our awesome guests this week - Lena, Rachelle, and Sandra. I'm so grateful to know and work with you three, and I'm wishing you the best with your writing! Congratulations, winners! I'll be sending you an e-mail, so be sure to check your inboxes! And thank you to Lena and Sandra for your generosity! 3rd Blogoversary Party ~ Meet Me! I've shared the three guest interviews for the 3rd Blogoversary Writers Party, and the winners of the giveaways will be announced tomorrow. (You still have until tonight to enter!) So, what do I have for you today? Question ~ When did you start blogging? And how has your blog changed since you first created it? Answer ~ Well, I'm pretty sure you all can figure out that I've been blogging for three years! ;) I started blogging on March 30th, 2010. (You can read my first post HERE.) It's been such a wonderful journey so far! When I first started out I was full of energy and excitement for the new endeavor. I had a lot of fun putting together themed weeks, discovering the thrill of getting books for free in exchange for writing reviews, and, most of all, meeting new friends. Since then some blog features have come and gone, and I've settled into a less frantic blogging pace. But, also since then, the friendships I've made have only continued to deepen and expand. I'm continually blessed by the opportunities blogging has provided in terms of growing in my writing, broadening my reading horizons, making connections with like-minded people, and so much more. I love blogging! Question ~ How would you describe the current "season" of your editing business? Answer ~ As you can see from the wonderful guests this week, I've truly been blessed! Editing Through the Seasons was slow to get off the ground (but I suppose I should have realized that was the way of things when it comes to starting a new business!). 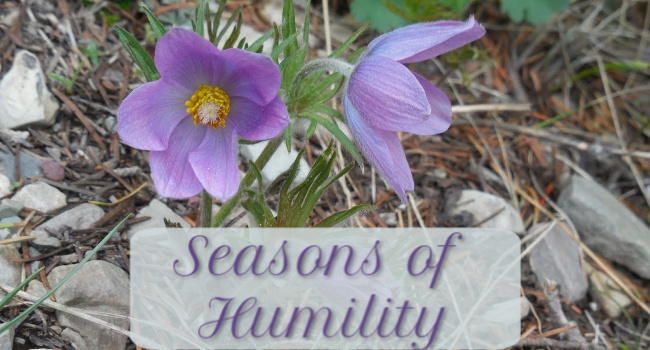 It's still in a slow season, like I described in my guest post on Seekerville back in February. And yet, I'm actually starting to see those green shoots sprouting up out of the ground now. This is an exciting time! I know that things might still be slow, and I know that my business might not ever become a huge success in terms of the world's standards. But I'm feeling hopeful that the word might continue to spread, and I'm going to keep fighting for the chance to do what I love in this way, Lord willing. I'm grateful for these writers who have taken a chance on me, and I'm eager to keep on working to help others in the seasons of their writing careers, while nurturing my own, so that we can share well-crafted stories to encourage and challenge and inspire others. Question ~ You recently finished the first draft of your WIP, and you're working toward self-publishing it this summer. Can you give your readers a glimpse into the story? Answer ~ Of course! ;) Bleeding Heart is my second manuscript, and the sequel to my first book, Forget Me Not. I don't know if I'll ever publish FMN... Maybe I can edit it to be a novella prequel someday? Not sure - it was a pretty personal story, but then, so is Bleeding Heart in its own ways. Sally Clay’s livelihood has been snatched away – but in its place arises an opportunity to escape from her sordid past and an unrelenting, unwanted suitor. Boarding a train with a heartsick rancher and an enigmatic miner, she leaves Virginia City behind and heads to Northern California, waiting for the chance to make right what went wrong three long years before. When a kind-hearted Cornish miner tells Joe Clifton about potential work at a logging town in the redwoods, Joe can think of no better way to put the painful memories of a broken engagement behind him. But Sally’s schemes – and the past that trails closely behind her – might destroy the promise he made to keep his heart safe from further harm. Spotting a familiar face in the line at the ticket counter, she rushed to Joe’s side. “Joe,” she said softly as she touched his arm and put on her best desperate look. It wasn’t too much of a challenge at this moment. Peering around his tall frame, she saw another familiar face. For the first time since the day she found herself begging Jacob for a job, she felt shame burn through her. It was a rare day when she blushed with embarrassment anymore. The red-headed, rail-thin Cornish miner didn’t say a word, but she saw suppressed anger, and perhaps a hint of pity, glaring back at her. She nodded in acknowledgement, and turned her pleading gaze back to Joe. “I know you don’t owe me any favors. But you and Jacob were friends for a long time. And with Jacob leavin’ and all… Well, I’m out of a job.” She swallowed, longing for some water and a moment to plan the rest of her speech. She knew the word “company” was a mistake as soon as the word slipped past her lips. Joe’s eyes turned rock-hard and he shook his head vehemently. Grasping his arm tighter, she let the tears flow down her cheeks, not caring at the scene she was making. It hadn’t taken long to get over the desire to please society. They had rejected her, and so she rejected them by refusing to follow their unspoken rules. And then he had the nerve to laugh. Pushing him away, she spun on her heel and marched out of the station. She still had some pride. But as she forced her way through the crowd and out the door, her heart sank. Rufus O’Daniel was across the street, staring right at her with eyes that promised retribution and enslavement – a frightening look that had haunted her dreams for far too long. 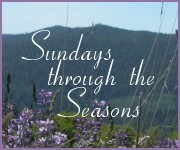 Question ~ Your favorite season? Answer ~ Probably fall. I love summer, especially because it generally means family vacations and fun outings and the like. But as far as nature goes, I love the colors of fall...the occasional warm autumn day...the Apple Harvest Festival and trips to the pumpkin patch/corn maze...the feeling of change and release and new beginnings following the time of "letting go"...the anticipation of the holidays to come... I just love it all! Question ~ Two quirky dreams (small or big) that you have? Answer ~ I would love to own a Bed & Breakfast someday. Don't know how that would really work out in reality, but I dream of having a beautiful little place out in the country, where I can design historical-themed rooms and meet new people all the time who will share stories about their adventures over shared meals. This is probably a strange dream for me to have, as I don't really cook that much and I'm introverted. But still... It just seems so romantic! Second dream? I really want to go to Prince Edward Island, Canada - preferably in the spring or fall. And yes, this has everything to do with Anne of Green Gables, along with the Road to Avonlea show! Question ~ Three blogs you love to visit? Well, there are so many blogs that are fun to visit. It's especially fun comparing thoughts with fellow book bloggers on our latest reads! As for naming three blogs, though, I'll go with StoryMonster, Tours Departing Daily, and Best Reads (2010-2013). The first is by the extremely talented Heather Dixon, whose book Entwined was one of my favorite reads of 2012! Her book is amazing, her art is wonderful, and her posts are usually pretty stinkin' hilarious. You can spend hours just browsing all of her posts... The second is one I found via Heather's blog. If you love all things Disneyland and wish you could be there, their beautiful photos capture the atmosphere of Disneyland so well! And the third is by Kav, a dear blogging friend who is also super generous. It's fun to read her great reviews, and it's awesome to have so many chances to win new books to read! Question ~ Four Twitter friends you enjoy following? Answer ~ Again, too many to name! But I'll note that I love talking books with Rissi (@scriptsandsuch) and Rel (@Relz) and Charity (@CharityUAusten), and I love doing #1K1Hrs with Krissi (@KrissiDallas) and Gale (@GaleRWordsmith). Yes, that was 5 (I majored in English, but I can still do basic math - oh, well!). Question ~ Five different themes for a party that would be fun to attend or host? Murder Mystery. I've had such fun hosting these types of parties with some friends from high school! Plus, my dad has a dummy that he uses for homicide investigation scenarios at a local community college. Enough said. Old West. It would be super fun to set up a book-signing party here on the North Coast of California, or in Virginia City (Nevada), where Bleeding Heart is set. I love day-dreaming! Hallmark. Hallmark-movies marathon, anyone? And we could exchange Hallmark greeting cards, LOL! Rissi, you're totally for this, right? Jane Austen. Charity, this one's for you! ;) English country dancing, dressing up, watching movies based on Jane Austen's books... Sounds good to me! And don't forget to check out the interviews with Lena Goldfinch, Rachelle Rea, and Sandra Leesmith, if you haven't already! The winners of the book giveaways will be announced tomorrow! 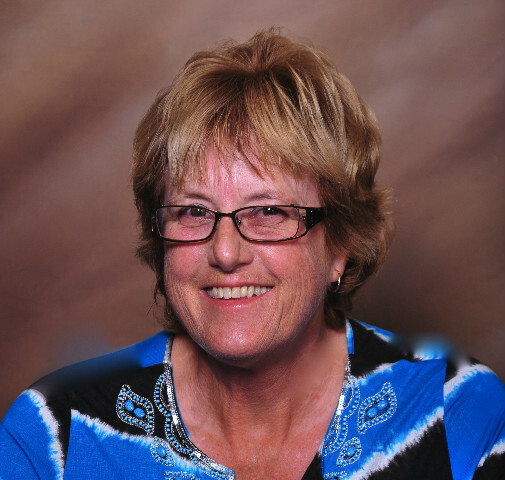 3rd Blogoversary Party ~ Meet Sandra Leesmith! 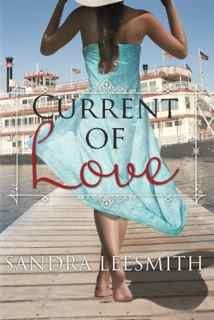 It's my pleasure to welcome, Sandra Leesmith to the blog as our third guest this week! Sandra is a current client for Editing Through the Seasons, and I'm honored to be working with her. Sandra contacted me the day I shared a guest post on Seekerville regarding my freelance editing business and what I've learned about spreading the word (and surviving) online. Color me thrilled! We're working on re-publishing some of her backlist titles as e-books - and it's been a great experience for me so far. I'm excited to share more about these projects with you in the near future! Amber ~ Welcome, Sandra! Since this is a blogoversary party, could you share with us a little bit about your own blogging history? 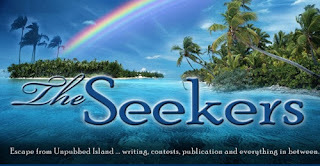 When did you start blogging for “Seekerville,” and how has that blog changed since it was created? contests. We started emailing each other and stating that we wished each other would get published so we could win the contests. *smile* We decided that it would be easier to communicate on a loop, so we started sharing information. Then in 2005 it occurred to us that the info we were sharing should be shared with everyone. Until recently, the ins and outs of the publishing world seemed to be a big secret. We learned the hard way and wanted to share our information. We started the blog and of course had no followers in the beginning. But word of mouth spread the news that we had valuable information for those trying to sail off "unpubbed island." We mostly shared contest information in the beginning, and then it evolved to articles on craft. Eventually all of us ended up published, hence no more Unpubbed Island and into the village of Seekerville. Many of our friends have sailed into the publishing world and we love celebrating with them. Editors and agents find our information valuable and have supported us by guest-blogging with us. We keep on growing and have reader fans, as well, who are interested in the life of an author. It has been a blessing to have a blog with a group because then the job doesn’t become so overwhelming. And with so much creative talent, we are always coming up with new and fresh ideas that our readers enjoy, such as the Yankee Belle Café, Speedbo, various parties, etc. Be sure and check us out. You won’t be disappointed. Sandra ~ I honestly don’t know how to describe this season. I think it ties in with the season that the publishing world is in right now. A state of flux and major change. That describes me to a T at this point in the game. I pretty much knew what I wanted to accomplish and how the publishing world worked and had set my goals toward those means and ends. But I find myself smack in the middle of the changing paradigm and finding I have to reset my goals to match this new world. The exciting part is learning all of the new aspects of marketing in this new electronic age. I guess I’m learning right along with the traditional publishers. Amber ~ I’m excited for this chance to work with you on some projects as you navigate the e-world! Can you tell us one thing you’re looking forward to sharing with your readers in the coming months? Sandra ~ I’m really excited to get some of my out-of-print books back out there. It was a blow when they went off the shelves in six weeks. And the way the distribution went in those days, some of these books were not even in all of the stores. I had friends who could not buy the books even when they were out. Now with Amazon, the books can be purchased at a reasonable price anywhere in the country. Amber ~ Reminds me of a line from the movie I.Q. : "What an exciting time to be alive!" These next questions are fun, brief-response questions. Your favorite season? Sandra ~ Summer is my favorite season because it always means travel and time outdoors, two of my favorite things to do. When I was a teacher, summer meant travel and time to write. Amber ~ Two quirky dreams (small or big) that you have? 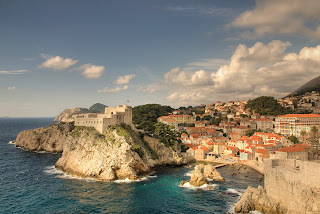 Sandra ~ I want to travel to Spain to do research for a book that has been in my heart for a long time. Amber ~ Three blogs you love to visit? Amber ~ Four books you read recently? THE BIBLE - I am always reading the Bible. Amber ~ Five different themes for a party that would be fun to attend or host? I love to go to parties and celebrate an author and his/her books. I love impromptu happy hours when everyone brings an appetizer to share (our pickleball parties are great). Christmas parties are always a favorite. Picnic in the desert/woods (actually anywhere outdoors). This giveaway is open to U.S. residents only. The winners will be chosen via the List Randomizer on Random.org and announced on Saturday, March 30th. Good luck! 3rd Blogoversary Party ~ Meet Rachelle Rea! The 3rd Blogoversary Writers Party continues with our second guest: Rachelle Rea! I knew Rachelle had a lovely, lyrical writing style from following her blog, Inspiring Daring. But I found out how wonderfully that translated to fiction writing when Rachelle won my editing-package giveaway on The Writers Alley back in December. Editing Rachelle's historical romance book was a treat - and it gave me important experience, helping me to see how long such projects might take and how the process would work when interacting with clients. On top of all that, Rachelle wrote some super sweet blog posts about our experiences ("My Editor and I" and "Polishing the Diamond"), along with my second endorsement! Want to learn more about Rachelle? Read on! Amber ~ Welcome, Rachelle! Since this is a blogoversary party, please share with us a little bit about the history of your own blog. When did you start blogging? How has your blog changed since you first created it? I no longer go by a pen name, and I’ve definitely grown as a writer since that first post. I still write about the places and people that capture my heart, though. It seems I also write a lot about writing. :) And I am a book blogger. I enjoy writing book reviews and hosting giveaways in support of my favorite authors, whose ranks I’d love to one day join. In fact, my favorite labels are book reviews, life, and published. Rachelle ~ In a word: promise. Spring crackles at the corners, whipping wind through the hollow spaces that winter has left bare and open to possibility. My blog recently underwent a redesign, courtesy of the lovely Hannah Beasley. I didn’t know this until just now, but the new look launched about the time my third blogoversary arrived! As far as the season of my blog goes, I’m embracing my role as a book blogger (and thanking God for the opportunity to interact with other avid readers and amazing authors I admire). Also, I’m blessed to be able to write for four other blog-ministries, which I have the pleasure of supporting at my own online haven. Amber ~ Very cool - all of it! Rachelle ~ To hold my diploma in my hands. To hold my published book in my hands. Rachelle ~ Go Teen Writers, because it has shaped the writer I have become. Kindred Grace, because it has shaped the young woman I have become. A Holy Experience, because it has shaped my heart. Amber ~ Four Twitter friends you enjoy following? Amber ~ So much fun to host you, Rachelle! Love your responses. I'm inspired to see all the things God has been doing in and through you, and I'm excited to see where He'll lead you next! 3rd Blogoversary Party ~ Meet Lena Goldfinch! Welcome to my 3rd Blogoversary Writers Party! Our first guest is Lena Goldfinch, a super-sweet, super-talented indie author. I was introduced to Lena and her work via Juju's blog, Tales of Whimsy. I didn't win the book giveaway Juju was hosting, but I decided to buy Lena's novella The Language of Souls, since it was only $.99 on Amazon.com... And I promptly fell in love with Lena's writing style! 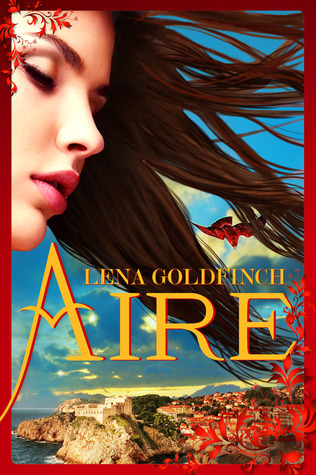 So when Lena was looking for beta readers for her upcoming release, Aire, I obviously volunteered. Thus began a beautiful friendship that has been a true blessing in my life. Amber ~ Welcome, Lena! Since this is a blogoversary party, why don't you share with us a little bit about your own blogging history? When did you start blogging, and where do you see your blog heading in the future? And do tell about the “Scene 13” blog! Lena ~ First: Hi, Amber! Thanks for having me, and Happy Blogoversary! I’ve been a sporadic blogger for about five years. These days, I post mostly book news on my blog. I also like to do short, lighthearted interviews with other authors occasionally, under the theme "Three Things & a Cupcake," where they answer three quick questions, and I post a drool-worthy picture of a cupcake. LOL It’s been a while since I’ve done an interview, so I look forward to getting back to those after my book release. I also participate in a couple of group blogs, which prods me into being more active. :) I’m a member of The Enchanted Inkpot (a blog for writers and readers of YA & MG fantasy), where I serve as a blog moderator/admin, and on The Scene13 Blog too (a blog for “Debut Authors, Published Authors, and Indie Authors with new book releases in 2013,” in a variety of genres). Amber ~ Yay for harvest-time!! Being a beta reader for you has been such a privilege – your stories are so fascinating and sweet! Could you share a glimpse from one of your upcoming releases with my readers? My YA fantasy romance, Aire, is coming out soon (checks watch ;)). It was such fun to write (and rewrite and rewrite and rewrite ;)). Lena ~ I jumped the gun there, I guess. ;) Autumn. I love it! Lena ~ I want to see my books in a library someday. I grew up hauling sacks of books away from the local library every week and devouring them (we didn’t have a ton of money growing up, so didn’t buy a lot of new books. Going to the library for books was a real treat—still is! ), so it would be wonderful to see my own books on the shelf. Lena ~ I have a whole list of publishing blogs I follow. I rely on Google Reader for this, so when I learned they’re shutting down Google Reader (noooooo.......), I’ve been searching for a new service. Open to suggestions! Lena ~ Well, I follow @SeasonsHumility of course! :-) (Amber: Aww!) I follow lots of my writer friends, and chat and share links about books & writing, and occasionally mention delicious food. ;) I also follow folks who tweet about publishing-related news, like @thecreativepenn, @PublishersWkly, @WritersDigest, @GuyKawasaki, and @PassiveVoiceBlg, among others. Amber ~ Fun responses, Lena! I hope you get some great suggestions for a way to celebrate Aire's release. :) Thanks so much for everything! I had the privilege of reading an early copy of this, and it's a great story! (And isn't that cover just beautiful? Kudos, Lena!) To enter for a chance to win an e-book version of Aire, all you have to do is leave a comment with your e-mail address. I'm also making some progress with my client for my freelance editing business. I'm looking forward to next week, when I can introduce you to her and a couple of other dear writer friends. Curious as to what I'm referring to? Well, March 30th will be my third blogoversary! I've been blogging for three years, and those years have all been wonderful, challenging, fun, inspiring, and encouraging, thanks to all of you! 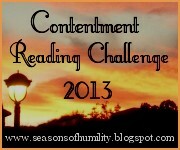 So, what does any of this have to do with the Contentment Reading Challenge? To be honest, nothing, really! Basically, I didn't do any re-reading this month, and I'm sharing some of my excuses as to why I didn't. ;) Since I'm doing the "Wading" level (challenging myself to re-read 10 books this year), I'm about 20% of the way through, so I think it will be all right! And as Cora stays one step ahead of it all, what might need the most protection is her own heart, torn between the dramatic pursuit of a dashing Frenchman and a man who has been quietly staking claim to her affections all along. Love has dangers all its own. She must escape the bonds of the past and discover the faith to make the right choices, as each one has grave consequences." With delight I rejoined the Kensington family on their tour across Europe in this second book in Bergren's engaging "Grand Tour" series. The first scene hit with the jolt of a train just starting its departure, and then I was right back into the rhythm of alternating setting descriptions, historical tidbits, family drama, and romance. With each new place the Kensingtons visit, the risks seem to multiply and the danger to both body and heart seems to escalate. The journey just kept rolling along and holding my interest as the pages turned, and it all came to an end with another jolt. I'm ready to board again for the next leg of the trip! Cora has a lot yet to learn about love and purpose, but she's wrestling with the concepts, and its enjoyable to see her open up, try new things, and work on understanding - and hopefully moving beyond - her mistakes. I'm eager to see where she ends up at the end of the next book, Glittering Promises! All aboard! 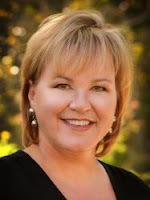 "Lisa T. Bergren is the award-winning author of over thirty-five books, with more than 2 million copies sold. A former publishing executive, Lisa now divides her time between writing, editing, parenting three children with her husband, Tim, and dreaming of her next trip to Italy. She lives in Colorado Springs." Blog Tour Schedule: Check out all of the reviews from other blog tour participants HERE. 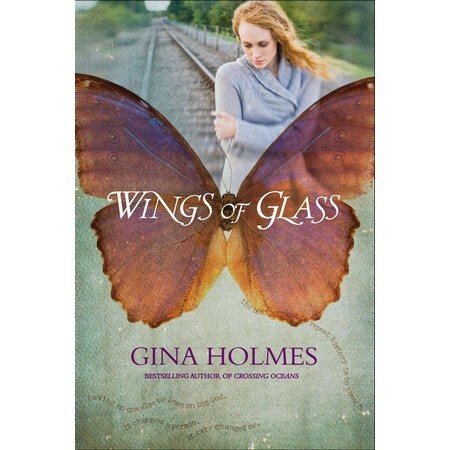 Gina Holmes began her career in 1998, penning articles and short stories. 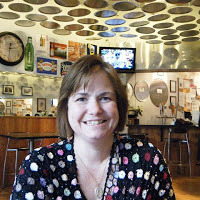 In 2005 she founded the influential literary blog, Novel Journey, now called Novel Rocket, and she is also the founder of Inspire The Fire. Her debut, Crossing Oceans, was a Christy and Gold Medallion finalist and winner of the Carol Award, INSPY, and RWA’s Inspirational Reader’s Choice, as well as being a CBA, ECPA, Amazon and PW Religion bestseller. Her sophomore novel, Dry as Rain, was also named a Christy finalist. Her upcoming novel, Wings of Glass will release this month. She holds degrees in science and nursing and currently resides with her family in southern Virginia. She works too hard, laughs too loud, and longs to see others heal from their past and discover their God-given purpose. 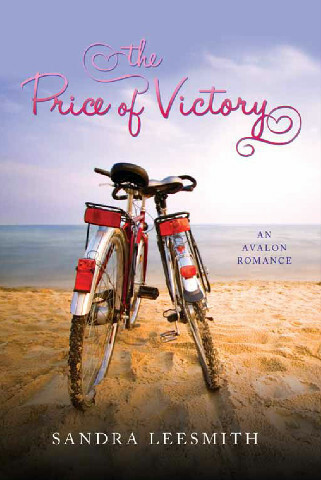 From the bestselling author of Crossing Oceans comes a heart-rending yet uplifting story of friendship and redemption. On the cusp of womanhood, Penny is swept off her feet by a handsome farmhand with a confident swagger. Though Trent Taylor seems like Prince Charming and offers an escape from her one-stop-sign-town, Penny’s happily ever after lasts no longer than their breakneck courtship. Before the ink even dries on their marriage certificate, he hits her for the first time. It isn’t the last, yet the bruises that can’t be seen are the most painful of all. If you would like to read the first chapter of Wings of Glass, go HERE. Wings of Glass is a story told in an easygoing style that tackles a very difficult subject. The first-person point of view - from a mother telling her son the story of his parents - is at times engaging, at other times painful or hard to understand. I think the way the story is told is clever and has its own impact, being able to see how one person so deeply affected by a situation deals with the hardships and interacts with the people around her. But in some ways, I feel like the emotions and experiences conveyed might have been even more powerful seen through the eyes of other characters in addition to her own explanations. That being said, the struggle is very real and gripping. The reader knows how Penny has been separated from her parents, watches her test her wings as circumstances allow her to get out of the house and get a job, rejoices with her as she opens up to friendships with unique secondary characters, and follows her journey of discovering who to trust and where to look for freedom. Wings of Glass is a story about the little steps one takes toward facing the need for change, healing, and a safe home. It's a story about truly embracing truth. While not a light-hearted adventure or a happily-ever-after romance, it does offer an empathetic look at the trials of a woman trapped and suffering in an abusive relationship. The promise of spring is one of bright days, splashes of color, and new beginnings. The hours of daylight are increasing, trees are budding, all sorts of flowers are blooming, lambs are being born, and we get ready to celebrate Easter - the day we commemorate Jesus' resurrection, the sacrifice and triumph that paved the way for a new life of forgiveness and hope. 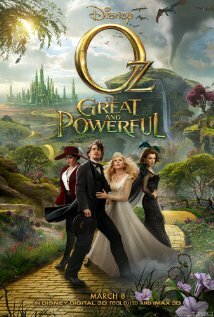 Last night my parents and I went to see Oz: The Great and Powerful in theaters. There are many issues I could discuss: how I wasn't impressed with the acting, how the plot was filled with unexplained and ridiculous phenomena, how the movie seemed to be mostly a farce with attempts at depth and seriousness thrown in on occasion. Despite its flaws, though, those attempts at seriousness, coupled with some stunning visuals, struck me. And I liked some of the "springtime" promise that was embedded in the movie. The story begins with Oz, a circus magician who has a lot of tricks up his sleeve - but no great payoff, no real wonders, and no meaningful relationships. When his flirting ways get him into trouble, though, he escapes in a hot air balloon that heads right into a tornado. (Of course!) 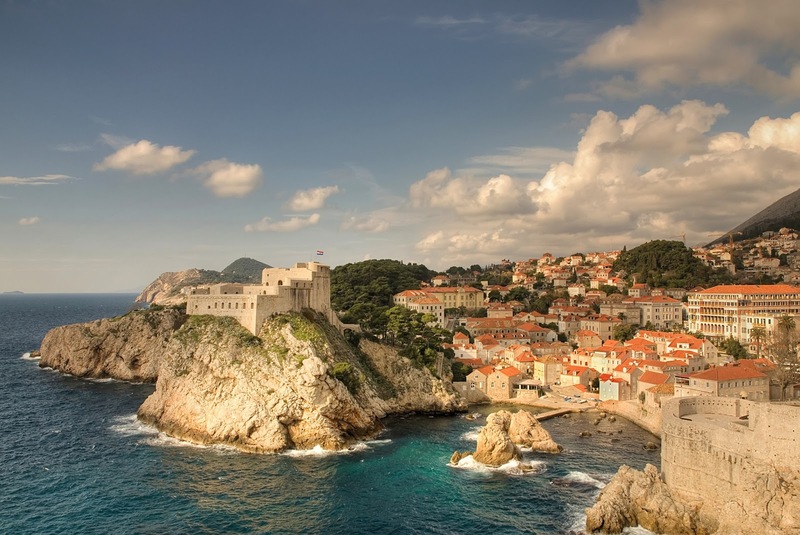 Suddenly everything slows down, and the world goes from an historical-feeling, sepia-toned one to one full of vibrant colors and fantastic landscapes, wildlife, and plants. I loved this aspect of the movie. Oz is introduced as someone who's full of himself, hoping and praying for a chance to prove his greatness, all the while spurning opportunities to look beyond himself and show love to others. But he's given a second chance - a hope that is shown to the audience through vivid and spectacular imagery, like the bold colors of spring flowers and rainbows. Oz considers this a second chance to make a great name for himself (and to become fabulously wealthy), but on his course to "greatness" he begins to take hold of his second chance at "goodness," at caring for other people. It's certainly not a perfect picture. I mean, Oz seems to base his trust of people on outward appearances, and he continually longs for his own gain throughout the movie. And yet we all fumble with our second chances and we all struggle with selfishness. So as far as simply offering a glimpse of someone's eyes being opened to a world beyond his own, I appreciate that aspect of the show. Interestingly, Oz sets up a contrast. Theodora the witch falls in love with Oz and makes all sorts of plans for the two of them. But when he sets off on a quest and joins forces with Glinda, Theodora is heart-broken and chooses to do anything to harden her heart. There's a very overt reference to the Garden of Eden when she bites into an apple her sister gives her and her eyes are "opened" to distinguish between the sides of good and evil in Oz - and she realizes she's chosen the side of evil. Sadly, she embraces the transformation and seeks revenge against "the Wizard," spurning any offers of understanding and forgiveness, and ignoring any comments about her downward spiral. When offered a second chance, she refuses to consider it or to be led anywhere in a "good" direction. With spring we are reminded of the blessing of renewal, of hope sprouting from repentance and growth, brought about only by the ultimate goodness and grace of God. Let's embrace forgiveness and second chances and healing, and enjoy the springtime colors and celebrations that remind us of the hope that we have! "This exciting and adventurous romantic spy novel is the second book in a new series from Roseanna M. White. Whispers from the Shadows combines fascinating cloak-and-dagger secrets with a tale of love and intrigue during the War of 1812. Not long after Gwyneth finds refuge in his city, Thad Lane experiences the tug of love, though he fears it may blur lines of loyalty. With family playing the part of enemies and enemies proving themselves friends, a future with Gwyn is uncertain. But at this moment, with the British advancing on Washington and Baltimore, they have only their shared faith in God as a shield about them." With mystery wrapped in letters and works of art, a tender romance, and historical suspense, Whispers from the Shadows is a great continuation of "The Culper Ring" series. [You can read my review of the first book, Ring of Secrets, HERE.] White has a knack for writing compelling historical romance with interesting details and a smooth style. This story starts out with a lot of conflict, which takes a bit to get into but fairly quickly engaged me. While Gwyneth's character might be considered too much of a "damsel in distress" initially, I found myself caught up in her struggles and intrigued by the glimpses into her ways of coping and healing. And the handsome, occasionally brooding, often deeply thoughtful Thad certainly shines in his interactions with the heroine. There are definitely some "swoon-worthy" scenes in this book! With such a great beginning that drew me into the healing and falling-in-love processes of the two main characters, I confess that I was hoping for a little more from the latter scenes. Not that there isn't action and romance towards the end! I think I was just hoping for some different twists - or outcomes - than the ones that occurred. The themes of whispers and shadows are well-executed and creatively incorporated, and I appreciated the message of paying attention to the right Voice. I wished for a little more - more kindness toward a certain spurned/confused character, more of the initial romance that melted my heart, and more of a focus on the characters than on the strict conveying of historical events in the latter portion of the book. 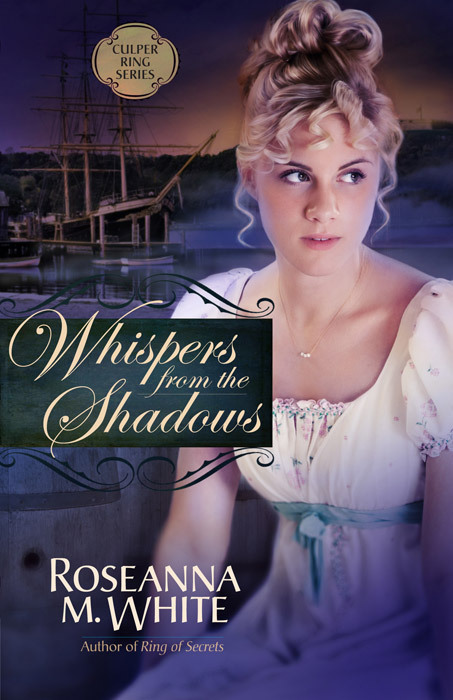 However, Whispers from the Shadows is still a very enjoyable read for those who love historical romance and stories set during the War of 1812. Note: This book will be released August 2013. (Chosen via the List Randomizer.) Congratulations, Jen! An e-mail has been sent to you, so be sure to check your inbox! And in case you missed it, you can read my review of The Little House That Stood HERE. Thanks again to Propeller for providing my review copy and the giveaway copy! I feel like I've been blessed with a lot of wonders in my life, recently! Well, I'm participating in the challenge again this year (learn more about Speedbo 2013 HERE, or by clicking the badge in the sidebar). I didn't post about it at the beginning of the month - I mean, let's wait and see if I make some progress before I go embarrassing myself on my blog again, right?? But lo and behold, despite the late start (March 3rd instead of March 1st), I've so far managed to log more than my entire month's effort last year - I've added 9,326 words to my WIP! I really feel so much more motivation this time around. I think part of that is the added life experience of the past year - like I needed to mature a little bit more before I was ready to finish the story, maybe? I'm really feeling the drive to complete Bleeding Heart now and share it with others (but more on that in a minute!). Another part of the motivation comes from my Twitter friends. Have you ever done a #1K1Hr? It's where you join with one or more other writers in trying to write 1,000 words in an hour. It's a bit competitive, but mostly it's just fun to know you're not alone in your dreams! If you're a writer and you haven't yet "followed" me on Twitter, I'd love to connect with you there and log some words together! I hope to have a lot more to say about my WIP in the coming months! I don't want this to be another "Speedbo 2012 incident," where I state a big dream and I don't follow through right away on it. But God's timing and will is best, so if this doesn't come through like I'm planning, I hope you'll forgive my impulsiveness in sharing this dream with you here. Be looking for more information about Bleeding Heart and my possible self-publishing endeavors in the next few months! One last note is that I've been blessed with some interest in my freelance editing business, Editing Through the Seasons. I'm hard at work with a client right now, and I am really enjoying working with her! You might get to "meet" her here on the blog, as well as some other dear writer friends who have helped me jump-start my business, during my 3rd blogoversary celebration, coming at the end of March! "Sometimes it is hard to tell if you are the cat or the mouse. Lady Céline Wexham seems the model British subject. French by birth but enjoying life in 1813 as a widowed English countess, she is in the unique position of being able to help those in need - or to spy for the notorious Napoleon Bonaparte. 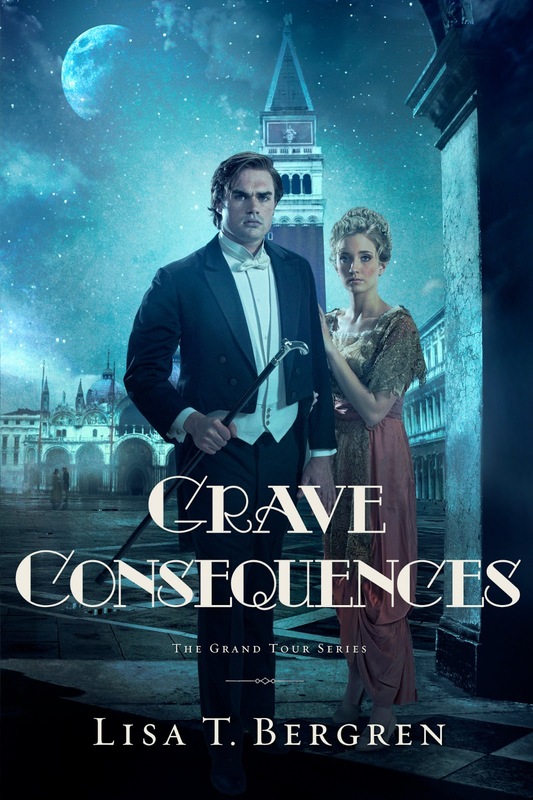 When Rees Phillips of the British Foreign Office is sent to pose as the countess’s butler and discover where her true loyalties lie, he is confident he will uncover the truth. But the longer he is in her fashionable townhouse in London’s West End, the more his staunch loyalty to the Crown begins to waver as he falls under Lady Wexham’s spell. Will he find the proof he needs? And if she is a spy after all, what then will he do? With sharp wit, fast-paced dialogue, and infectious intrigue, Ruth Axtell deftly creates a world where black and white burst into a confusion of colors - and no one is who they seem." Moonlight Masquerade took me back to England and France in the early 19th century, giving me a glimpse of the the colorful costumes of spies, the intricate political dances of the time, and the beautifully decorated settings. The historical details are interesting and the writing is generally clean in style and structure. All this is to the story's credit. Unfortunately, I felt like I was on the perimeter of the dance floor as I read, for the most part - watching events unfold and admiring certain qualities of the dancers, but not really swept up in the dance myself. 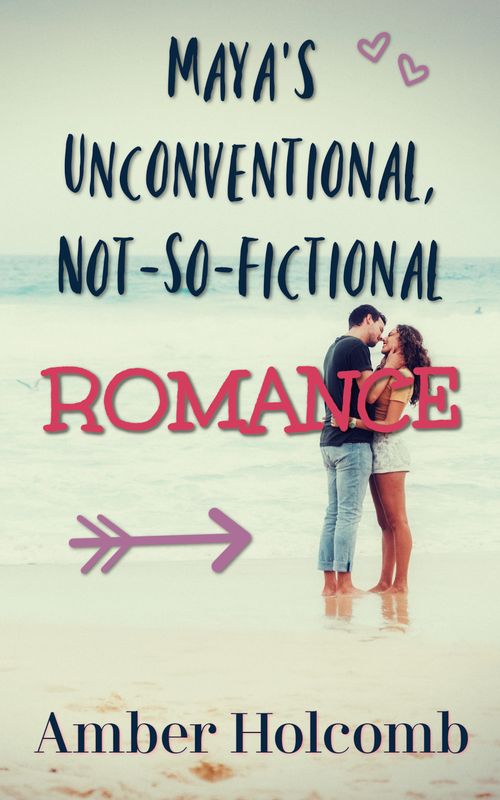 The hero and heroine do have a lot going for them to endear them to the reader: they're intelligent and clever, but still emotionally "distracted" enough to add romance to their ambitions. Perhaps it was the lack of much insight into the true feelings of any of the secondary characters; perhaps it was the emphasis on the set-up and the chase vs. an emphasis on character development... But somehow I just didn't really get emotionally invested or overly interested in the story. There are some exciting elements to the story, including an intriguing/sweet scene where the title ties into the plot, despite the sometimes plodding pace. However, the romance didn't overly thrill me, and in the end I didn't quite feel "in the know" about how the hero and heroine's actions and sacrifices made a difference in the overall historical scheme. There was just a disconnect between me and the story and its characters. 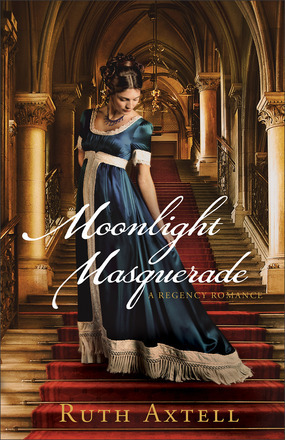 For those who enjoy books set in the Regency era - with details about the fashion, activities, and domestic issues of the upper class at that time - Moonlight Masquerade might draw you in. Perhaps it is a dance that some know the steps to, and others must only watch (which offers a slightly less pleasant experience than being involved oneself). "When the Three Little Pigs roll into Cabbageville looking to build some new houses, they meet one builder with a plan and two without a clue! Larry builds with hay, Mr. Lunt with bricks, but only Bob builds his houses on a firm foundation - following the wise plans from the Master Builder's Handbook! Will the Little Piggies make the right choices when it comes to building their houses - and their lives - on solid ground? Find out in this parable that shows kids when they follow God's blueprints, then can stand strong when the storms come!" 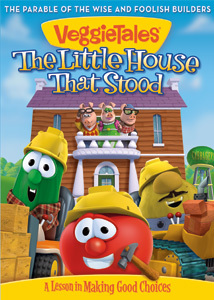 The Little House That Stood is a sweet addition to the VeggieTales collection. It begins with Larry the Cucumber dressed up as a gingerbread cookie (yes, we finally get to see him with arms and legs! ), and a hungry Mother Goose visiting Bob and Larry. Capitalizing on the current excitement over fairy tales (or nursery rhymes, in this case), the stage is set for some fun twists on popular children's stories and parables from the Bible. The first story, for which the movie is named, was my family's favorite. As Larry once said in an earlier movie, the title of which I can't recall: "I laughed. I cried. It moved me, Bob." OK, I didn't exactly cry, but my family and I did indeed laugh at some of the lines and the antics of Bob, Larry, and Mr. Lunt. The songs are catchy (I particularly liked "Solid Stuff"), some of the voices are rather interesting, some of the lines and references to modern culture are pretty funny, and the lesson on the importance of having a firm foundation for all areas of a person's life is shared in a fresh and clear way. The "Silly Song" is just what the feature's title promises: "silly." Of course, all of the "Silly Songs" are supposed to be rather ridiculous, but some are more creative and catchy than others. My family mentioned that some of the ones they loved in the past were "Barbara Manatee" and "The Gated Community." This one about Larry's tooth (a throwback to the "I Love My Lips" song? ), while instrumentally enjoyable, was a little too weird and goofy for our taste. The second story that rounds out the movie, "The Good Egg of Gooseville," was not as enjoyable as the first story. I did appreciate the cleverness - how so many different nursery rhymes could be tied together to illustrate the importance of sacrificing for others and truly loving one's neighbor. However, my family and I agreed that the rhyming stories (like one of the stories on the Robin Good and His Not So Merry Men DVD) are not VeggieTales' best. They're a little harder to follow, rather convoluted/strange, and they're kind of annoying (maybe trying too hard to be too clever). If you're a fan of VeggieTales, The Little House That Stood has some good points that would make it a fine addition to your collection. Overall, it's not the best of their movies, but the first story is enjoyable, and there are enough cute moments to make it worth the viewing. But if you don't enjoy the rhyming stories, take heed. And if you or your children are new to VeggieTales, other VeggieTales movies might serve as a better introduction to the shows. "Disclosure of Material Connection: I received one or more of the products or services mentioned above for free in hope that I would mention it on my blog. Regardless, I only recommend products or services I use personally and believe will be good for my readers. I am disclosing this in accordance with the Federal Trade Commission's 16 CFR, Part 255: 'Guides Concerning the Use of Endorsements and Testimonials in Advertising.'" You have until 9:00 p.m. (PST) on Sunday, March 10th, to enter the giveaway. The winner will be drawn randomly via the List Randomizer and announced on Monday, March 11th.